Rocky’s Boutique Resort is a beautiful place for a relaxing break, a special occasion or an exotic holiday. 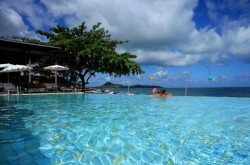 Whatever the reason, the resort has unparalleled views, secluded beaches and a whole host of tasty dishes. The resort is committed to various environmentally friendly initiatives and takes an active role in various community schemes. The staff at the Rocky’s Boutique Resort are both friendly and welcoming, ensuring that each guest has a wonderful stay. 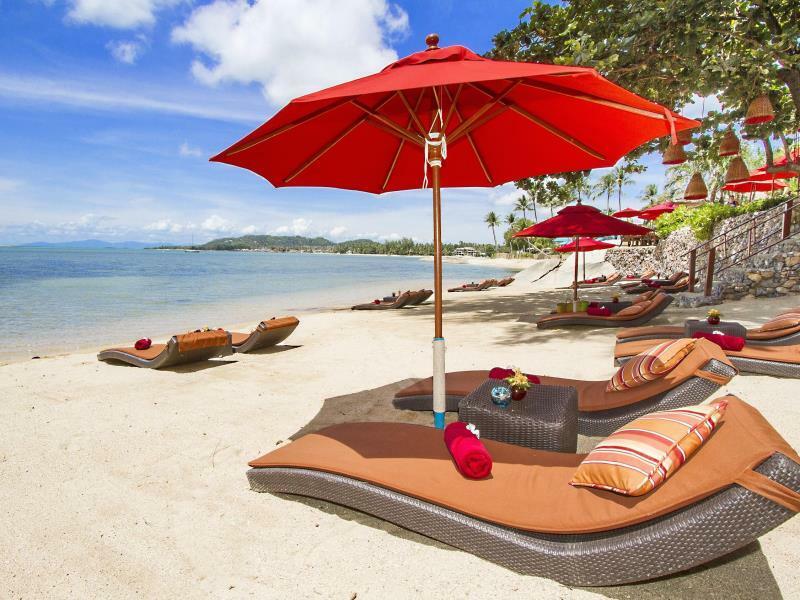 The resort is set on the island of Koh Samui, the third largest island in Thailand. Hidden in a secluded cove, the accommodation is only a few steps away from the beach, with stunning views of the Gulf of Thailand. A tranquil spot, guests can enjoy time relaxing on the gorgeous white beaches or sunbathing in the resort’s two private pools and sun-loungers. Whatever you choose, you will be surrounded by beauty and peace on every side. Evenings can be spent enjoying the nightlife or restaurants in the local town of Lamai, which is only a short distance from the resort. Rocky’s Boutique Resort has a wide range of available accommodation for guests. Featuring 47 rooms or 3 private villas, guests enjoy a beautifully decorated, spacious and comfortable room. All rooms have stunning views of either the gardens or the blue sea, and all are equipped with modern amenities including free wi-fi, air-conditioning and private bathrooms. 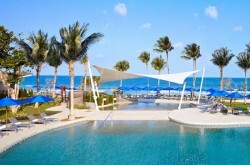 The resort itself offers many activities and services for guests, including a direct airport shuttle. With weekly yoga classes, Thai massage, manicures, and facials available, guests can be pampered by the resort’s masseuses. The masseuses are all highly experienced and expertly trained. For families, babysitting services are provided by the resort. For a more active break, there are kayaks to hire, guided island tours, cooking classes and snorkelling trips. 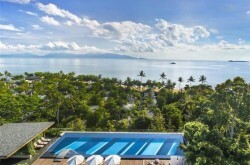 Nearby, guests can try their hand at scuba diving, water sports or even an elephant trek! Why not schedule a safari trip, private tour or a spa day? The resort boasts a large range of dishes in their two separate dining areas. ‘The Dining Room’ sits directly on the beachfront, with a choice of available seating in the open-air restaurant or on the rocks, overlooking the sea. In the evenings, the restaurant is lit by soft candlelight. Dishes are classic French cuisine with an original and modern twist, cooked to perfection by the resort’s chef. Alternatively, ‘The Bistro’ offers contemporary Mediterranean and Thai dishes, with seating in the restaurant or beside the pool. If you are looking for a relaxing and sun-drenched holiday, Rocky’s Boutique resort is not to be missed!